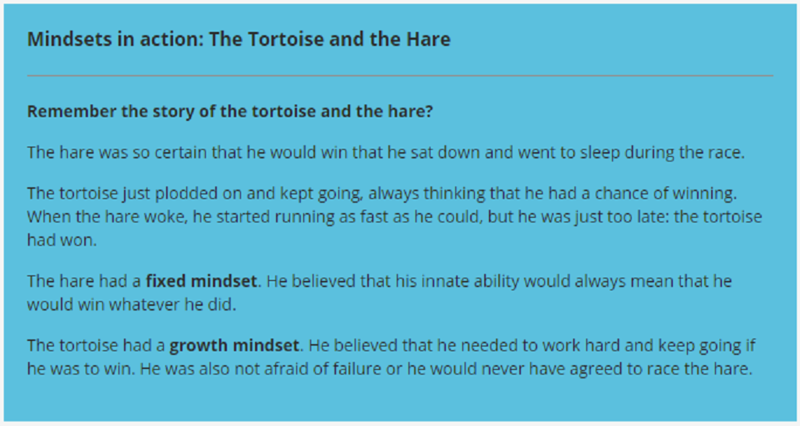 Let’s start at the beginning, what is mindset and why is it so important? Your mindset is your view of the world, your thoughts and assumptions that have been shaped and governed by the experiences that you have had. Every piece of information we receive goes through our own internal filters and this affects how we see certain situations, how we react, decisions we make and behaviours we adopt. Mindset is the reason for where you are in life and it is key to success and achievement. If you tell yourself, you can’t do something then you probably won’t do it. People with a fixed mindset often see things as black and white, they can’t see the route to change or solutions to challenges. They also see talent and intelligence as the only factors in being successful, they don’t believe that these can be worked on, improved and that we can learn and grow. This holds them paralysed, supports procrastination and stops them trying something new. Within the example of a fixed mindset this person will likely see setback as failure, feedback as criticism, get discouraged and probably give up. The only failure here is to not ask the questions ‘what did I learn?’ or ‘what can I do better?’ which is what someone with a growth mindset would do. 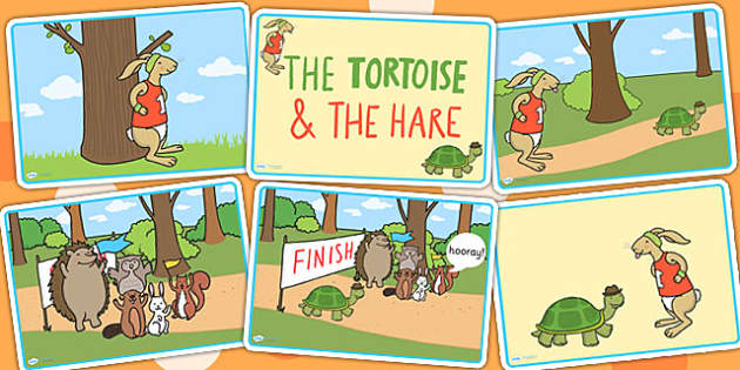 While people with a fixed mindset like the hare don’t see the need to keep going and growing, people with a growth mindset like the tortoise see the need for working hard, constant improvement, not giving up. These people use feedback to improve themselves, see setbacks as opportunities to learn, embrace challenges and are comfortable getting out of their comfort zones. This creates a resilience that is essential for success and achieving great things. How do we identify a fixed mindset? Well, how often do you find yourself putting things off? Do you ever hear yourself saying any of the below? These are typical types of expressions that come from people with a fixed mindset. So, if this is you, what can we do to change? When you catch yourself using these negative expressions or thinking negative thoughts, transform them in to a positive or a phrase that moves you forward. Choose to embrace challenges, find learnings to take from failures. Dr. Carol Dweck, Professor of Psychology at Stanford University and Mindset expert often talks of the power of ‘yet’. First used when she was working with underachievers in a high school in Chicago, instead of giving kids a fail the decision was made to give the grade of ‘not yet’. As a replacement to giving the kids negative feedback, it gave them the sense they were working towards something but just hadn’t got there yet. 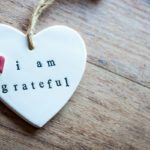 By including this little word yet in our thoughts and comments we can put a positive spin on what could potentially be seen as negative. It doesn’t mean you haven’t succeeded or won’t succeed, it simply means you are working towards it. If you are living a life that isn’t congruent with your values often this has a negative affect on mindset as something just doesn’t sit right, something is out of balance. It is really important to be clear on your beliefs as our beliefs shape our attitude, our attitude also shapes our beliefs, and both shape your mindset.